We are proud of the relationships we build and the quality of the design and construction services we provide for our clients. Read below recent comments and testimonials from clients of recent completed projects. We began working with Jorgensens in 2013 when we were looking to expand our Child Care Business. We were told that we “had to speak to Jorgensens” as they had built over 30 centers on the Gold Coast and Brisbane and knew nearly everything when it came to new centre builds and refurbishments. From the start, it was evident that this was the case and were always extremely professional, knowledgeable and patient in what is a particularly complex industry to build in. Over this time we have worked with them on 3 projects, one being a complete refurbishment in a run-down centre that had been closed down which now operates at 100% occupancy as well a 2 brand new centre developments in 2016 / 2017. Their quality workmanship and project management is the best in the business and nothing was or is an issue. Every job was completed on schedule, if not earlier and most importantly, on budget. I look forward to many more years of working with Tim and his team and will not build a centre without their expertise by our side. I would have no hesitation in recommending Jorgensens. After repeatedly being recommended Jorgensens to build our child care centre we have been so pleased that all of the positive feedback and recommendations for them were correct. They were amazing from well before the building started and assisted us not only to apply for final approvals and commence building but after completion they have been wonderful with additional unexpected works we needed. We were always able to contact Jorgensens and receive fast replies. I have been involved with the planning and building of several child care centres in recent years and Jorgensens exceeded all expectations and I look forward to working with them again. I have also had the pleasure of recommending Jorgensens to other operators who are looking for an experienced builder who is fast, high quality and has all of the contacts ever needed. 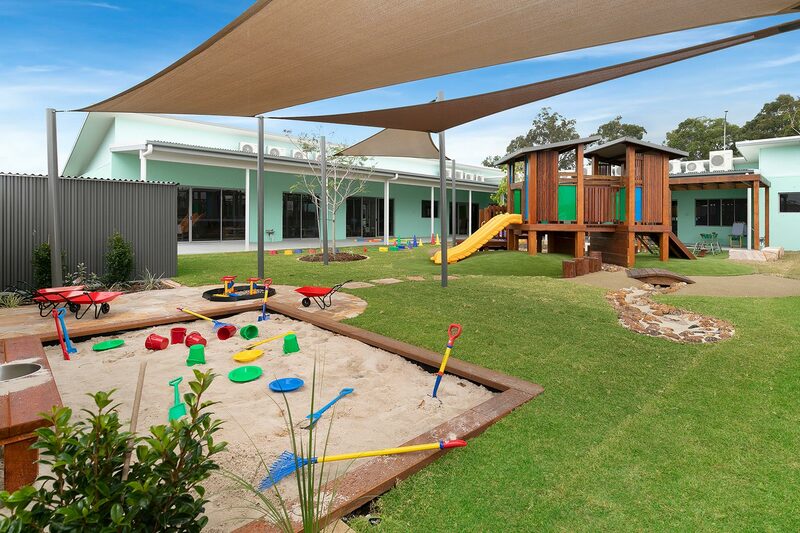 We have worked with Jorgensen’s over a number of years and on a number of childcare centre projects. These projects have included centre renovations as well as green-field site constructions and in all instances we have been extremely pleased with the outcome. Over and above this Tim and his team are extremely professional and we have found them to be as invested in our time and budget goals as we are! No project works to plan from day one, whether there are design changes or schedule changes due to weather, the team have always been able to seamlessly work around these issues and remain on target. We always hold ourselves to a very high standard in terms of build quality and project efficiency and we have found that this is a principle that Jorgensen’s also follow. The relationship we have with Jorgensen’s is one we place very high value on, and working with them has provided us with the foundation for success. It is with again with much pleasure that we supply this reference to Jorgensens Builders. We first provided a reference for Jorgensens in 2012 after they completed an Autobarn commercial showroom for us in Redbank Plains. That brings to 7 the number of projects we have completed together without going to tender. Every project has been a negotiated price on a design and construct contract. All completed on time and budget. We look forward to the next one being completed in the same way with the same team. Jorgensens Pty Ltd were commissioned by Australian Warranty Network to plan, design, construct and project manage our new custom built premises at Tanah Merah. Jorgensens provided us with a complete service. We handed the entire project over with confidence. Jorgensens controlled and managed our project in under budget whilst at the same time ensuring our quality objectives. Jorgensens displayed a strong commitment to the successful completion of our building in a very tight time frame. Tom Jorgensen and his team are true professionals with a sound knowledge of all building principles including associated services. Jorgensens is a truly professional Company. I have no hesitation in recommending Jorgensens for any works they are looking to undertake and would be delighted to provide a verbal reference if required. In 2005 I had the good fortune to contract Jorgensens to build my double child care centre in Sunnybank. This project was completed ahead of time, exceeding my expectations both of quality, and value for money. Many visitors and parents have commented on the impressive finish of the building. Following this positive experience I had no hesitation in contracting Jorgensens for the renovation of a child care centre in Ipswich. This 20 year old centre was tired and badly in need of a complete refurbishment. They also suggested a facelift to the entry, which completely updated the look of the façade. The work was completed in six weeks, on schedule and the contract was finalised under budget. Now I have a beautiful ‘new’ centre that is unrecognisable to people that visited previously and have had positive feedback from all who have viewed it. The experienced team offer great service and advice with a friendly, helpful, well-mannered personal touch. I trust that they have my best interest at heart. I have complete confidence in their ability and knowledge of the child care compliance requirements. I have no hesitation in recommending their work to any interested parties. All I can say is THANKS!